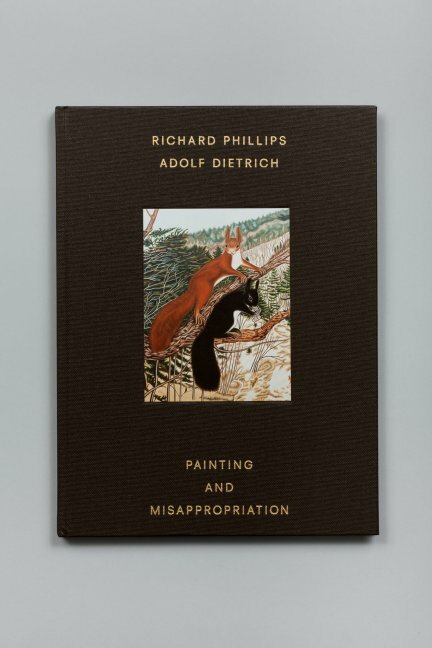 This lavishly illustrated book brings together contemporary paintings by the American artist Richard Phillips and historical paintings by Swiss artist Adolf Dietrich (1877–1957, lived in Berlingen). The encounter results in a complex, multi-layered dialogue beyond categorizations. Pushing the boundaries of appropriation to the extreme, Richard Phillips has repeatedly painted after Dietrich. Since 2003, Phillips has defended the modernist tendencies of Dietrich, as illustrated in both his paintings and in his thoughtful catalog text. The symbiotic coupling enhances the classic qualities of Richard Phillips’ paintings in their contemporary grandeur and reciprocally makes evident the radical nature of Adolf Dietrich’s compositions. 88 pages with 57 illustrations.